Sometime ago Jenny nominated me for the Liebster Award. Thank you Jenny! I was, and still am, very proud to be nominated. And then nothing. I was suddenly very nervous how to continue. Not nervous as in Aaaaahhh! But uncertain about my English grammar. And with good reason of course. I am Dutch. And to write in English is not easy. Every Dutchman pretends to be fluent in English but I know better. A famous Dutch Football coach, Louis van Gaal recently answered a reporter on his question ‘what is Manchester United going to do against Arsenal?’: ‘That is different cook …’ Nobody understood him. He tried again: ‘that is different biscuit …’ And stopped trying. What he was trying to say is that Arsenal is another ballgame than Sunderland or Westham United. He translated a Dutch saying directly into English. So far I most likely made tons of mistakes but he! I am Dutch! And we don’t make mistakes 🙂 Everybody else does. On topic. 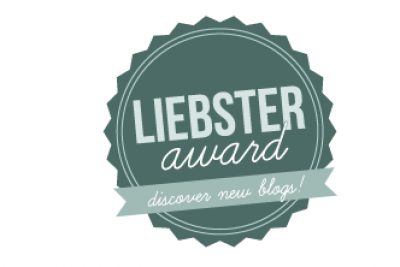 The Liebster Award. I will answer the questions the best I can and believe me: it’s the truth and nothing but the truth. Or something close to the truth. Or an outright lie of course. Discrimination on gender. Simple answer on a devilish difficult problem. In a lot of countries it is not discrimination but religion. And since I am for freedom in religion it is really not up to me to comment. But … I believe that man and women are equal and that not giving education to women creates a lot of problems and injustice. The world would be a better place with equal rights. Second question: 2 songs that make you instantly happy! Fields of gold. By Eva Cassidy. Does it make me happy? Yes, in an awkward sort of way. When she start singing I always get tears in my eyes but to know that some people are capable to generate so much emotion in another being makes me very happy indeed. Miserere Mei by Gregorio Allegri. For me it is perhaps the most beautiful music ever composed. Together with Finlandia from Sibelius of course. Salted Herring with onions. 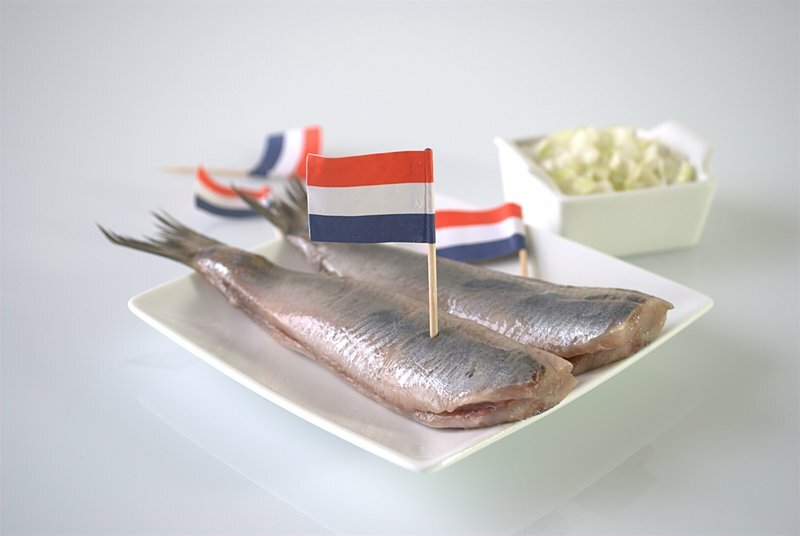 The first thing you should eat when you need a treat for your tummy is a raw herring. You can wake me up in the middle of the night for it, show it to me and I love you for it! Guaranteed. Did you know it also good against seasickness? I tried it once and walked away. So Herring it is. Can I skip this question? I hate most of them. I love to dance. Me and my dancing partner, a lovely lady from a small town in Holland, participated in Latin American dancing contests with no result at all. But who cares? As long as we could dance on the music of Miquel Calo or listen to Carlos Gardel, Mercedes Sosa we were happy. So I want to visit Buenos Aires to learn to dance. Really learn to dance. And meet Eva. Only three 🙂 Where to start? My Linkedin profile is a good begin. At least it gives an idea who I am in my work. I am experienced International Business Development Manager who combines outstanding relationship management, collectively with project management, and marketing skills to identify opportunities for growth, development and revenue generation. An extremely service oriented individual who can multitask in a fast paced, ever changing environment and focus on meeting Customer needs to build lasting relationships. I love animals in general and my cats in particular. My friends love to talk to me because I can listen. I admire people who dare to live and are proud to show it without bragging. I can really love someone … but like to be loved also. Or is that a bad habit? 26 degrees Celcius, 50% humidity, and a terrance with a view. With or without a white Burgundy. Beer will do. A difficult question to answer. Being born in Rotterdam i am definitely a city boy. But living in a small town also has its merits. I met my wife at a fair and love to drive so I am bit of both I guess. Sometimes you feel very special about someone. So you write a blog. Or two. Or three. Or … This blog is written in the bleakest hours of my life. Corazón, no le hagas caso! It is in Dutch and Spanish. Mijn hart, let er niet meer op! Last question! The birthday celebration for the love of my life. Inez and I love to drive horses. We learned it the hard way: in the City of The Hague. Not at the Countryside. 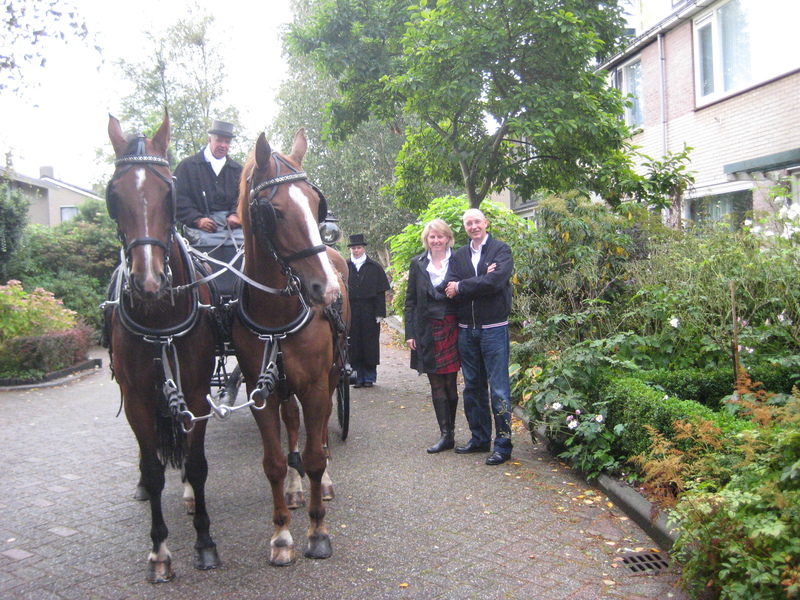 So I asked my ‘ritmeister’ and his groom to drive us around Gouda. She loved it! I loved this challenge. Thanks for reading. If you made it to this point of course! I love your line ‘I admire people who dare to live and are proud to show it without bragging.’ It is an art form, and there can be a very fine line between succeeding and failing. Not everyone manages it well!